As the third biggest city in the Unites States of America, Chicago, Illinois, is home to nearly three million residents, with nearly 10 million living in the wider metropolitan area, also known as ‘Chicagoland’. Serving this large population are over 100 funeral homes, distributed across the city and surrounding areas, and offering a wide range of funeral services. 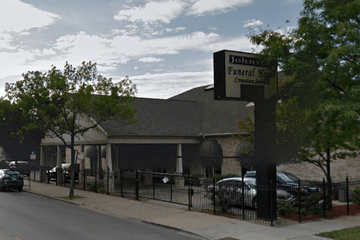 Many funeral homes in Chicago will be experienced in providing funerals to meet specific cultural or religious traditions, thanks to Chicago’s diverse population. There is a high demand for funeral homes in Chicago experienced in working with Black and African American families. The city also has a high proportion of Hispanic and Latino residents, and over five per cent of residents being of Asian heritage, meaning different funeral traditions abound within Chicago’s multicultural communities. The majority of Chicagoans, almost three-quarters, identify as Christian, with various denominations represented. However, with communities of Jews, Muslims and Buddhists also among Chicago’s residents, people of all religions and beliefs should be able to find adequate funeral services in the wider Chicago area. The city of Chicago is well provided for in terms of burial, with several large cemeteries within the larger metropolitan area, such as Roselawn, Graceland, Oakwoods and Mount Olive. Faith-specific burial plots are available through several denominational cemeteries; Catholic burials are available at sites such as Calvary Catholic Cemetery, Mount Olivet, and the Holy Sepulchre Catholic Cemetery & Mausoleum. Zion Gardens, previously known as Rosemont Park, serves the Jewish community of Chicago. According to Illinois state law, home burials are also allowed, though these are subject to strict zoning laws. Be sure to consult with a funeral director before taking action. Search Funeral Zone’s listings now to find Chicago funeral homes near you. You can organize search results by best rated, most reviewed or nearest. Click on a funeral home’s profile to learn more about the services they can offer you, read customer reviews, and to get in touch with the funeral director to arrange your loved one’s funeral.